We had a great turn out for the grave dressing with American Legion Post #3. Thank you to all the troops and packs that participated! Our Packs and Troops made a mighty contribution to honor our deceased service members. Various units made their contributions at different times and different cemeteries. Here is a sampling of some of the stories and scenes that I have collected from this year’s efforts. 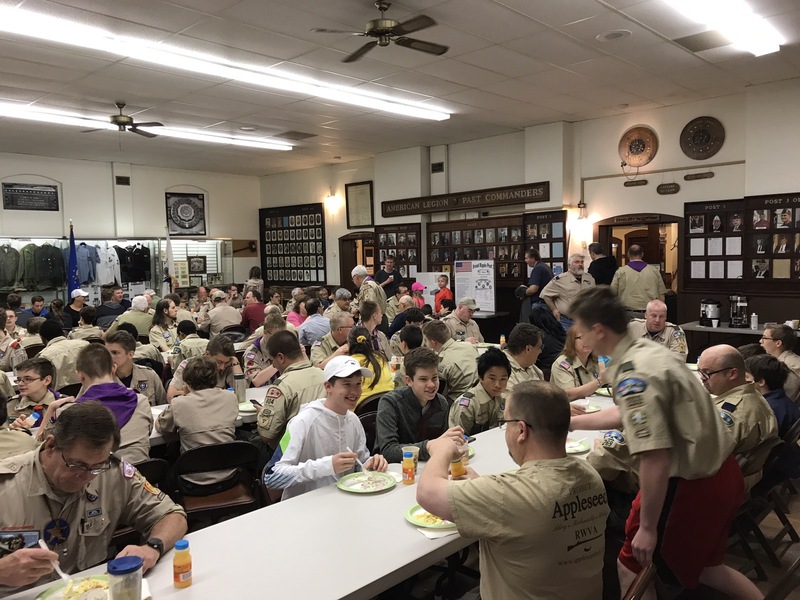 American Legion Post #3 in Broad Ripple hosted their annual breakfast this past Saturday morning. Representatives from Packs 18, 35, and 830 (and a recent graduate of Pack 179) and Troops 18, 35, 56, and 269 were present to my knowledge. The Post’s organizer of the event, long-time North Star Scouter Rees Morgan, emcee’d the breakfast. 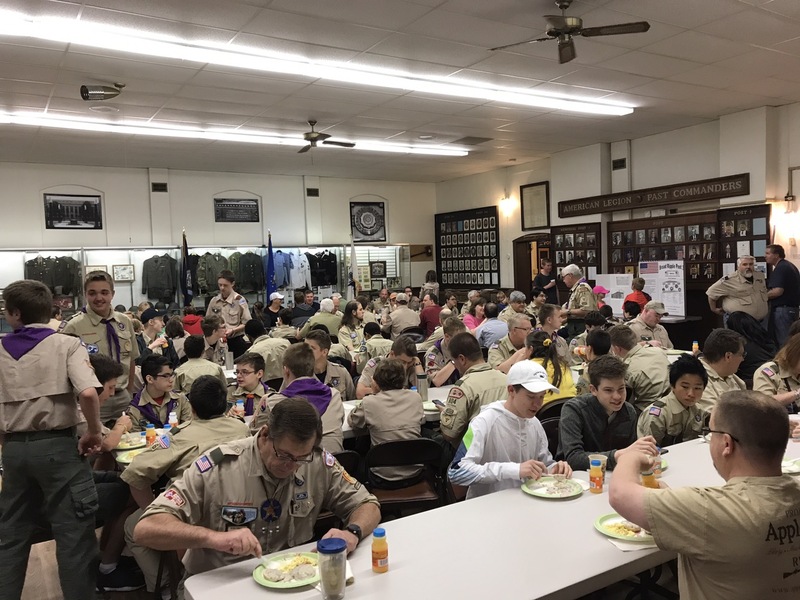 The scouts enjoyed a hearty breakfast of scrambled eggs, biscuits and gravy, and other nibbles. Scout parents (uniformed and non-uniformed) squeezed into the back dining room. The Post is looking forward to completing its remodel of the main meeting room, because they had hoped to have 80 scouts and scouters attend. Instead we packed in 101 scouts and scouters! They need the bigger room. At the conclusion of the breakfast, Mr. Morgan assigned packs and troops to specific cemeteries. This post mostly covers Union Chapel Cemetery near Keystone at the Crossing and part of Crown Hill Cemetery near the Indianapolis Art Museum. The cemetery pictures above are from the Union Chapel group. Some older scouts attended as part of our Firecrafter Ember’s contribution to the service project. Troops 56 and 514 and Pack 514 participated in grave dressing in conjunction with other American Legion Posts. Some of the pictures that Troop 514 Scoutmaster Michael Rodriguez provided to me are below. 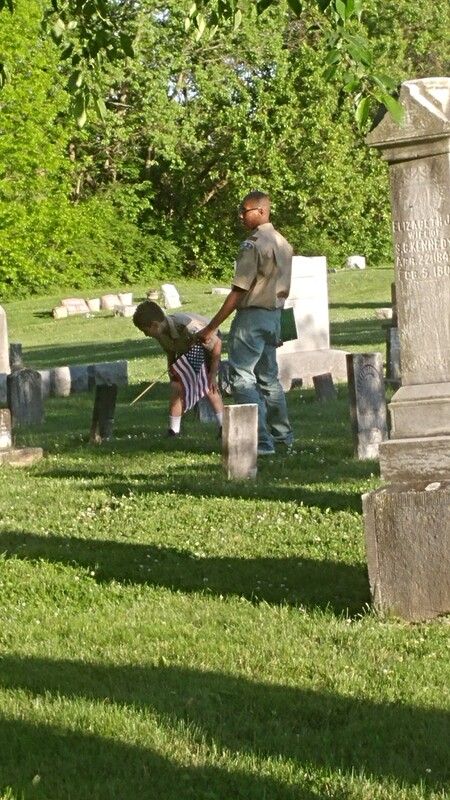 Troop 343, based out of the northwestside of Indianapolis, has once again placed American flags on the graves of veterans buried in the Bethel Cemetery located in the 5200 block of West 52nd St. Scoutmaster Ron Wells had been mulling over taking over the flag detail for some time and finally contacted the cemetery’s caretaker, Sandra Profant last year. 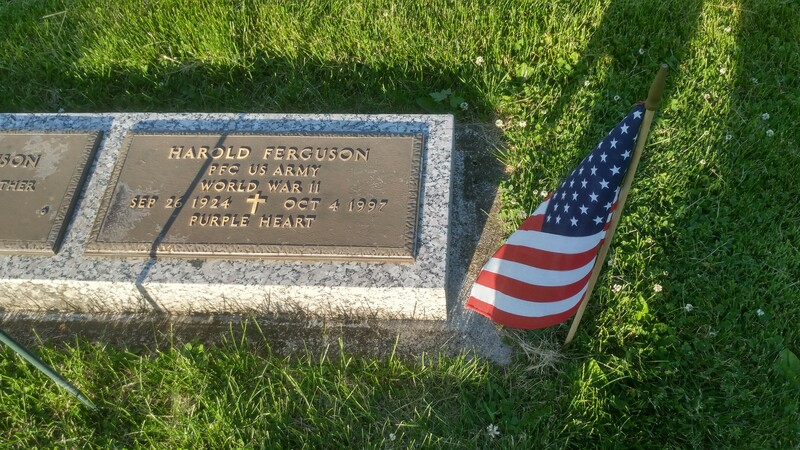 The Profant family has been maintaining the grounds and placing flags at the cemetery for several decades. Needless to say, Sandra was relieved to pass on her detailed maps, a box of flags, and her own self-assembled binder containing research she found on some of the true heroes of our country to the troop! Last November the troop assembled in darkness and less than favorable conditions to place the flags for Veteran’s Day. Last Monday, the troop performed flawlessly under more inviting weather and lighting conditions and placed over 200 flags. Our troop has always placed a high value on patriotism, wearing the Scout uniform properly, and respecting those brave citizens who served our country. Thank you to all the scouts, scouters, and scout families who participated this year to make this a wonderful and memorable event. This entry was posted in Community Service, News, Patriotism, Patriotism. Each May, the Boy Scouts and the American Legion have joined in placing flags on the final resting place of our nation’s veterans. 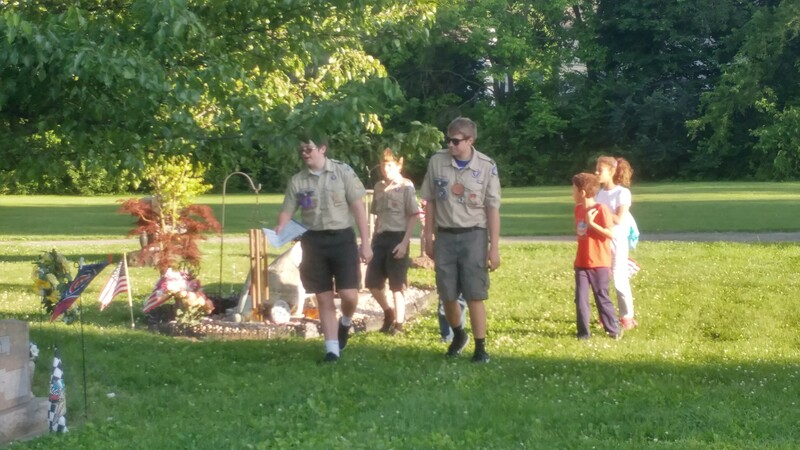 Post #3 is hosting their annual breakfast for scouts participating in the grave dressing on Saturday, May 28th, at 7:30 AM at Broad Ripple Post 3 on the southeast corner of 64th and College Avenue. This event is open to scouts whose troops may have a later scheduled time that day to do the grave dressing as a unit. If there are Cub Scouts, Boy Scouts (especially Firecrafters and Arrowmen), or those from your troops wishing to have breakfast, please sign up here so a headcount is available for the cook staff. RSVPs for breakfast are due Thursday at 7:00 pm. For individual Cubs and Scouts, dens, patrols, packs, troops, or crews who plan to assist with the grave dressing. We will have an organizational meeting immediately following the breakfast at 8:00 am (attendance at the breakfast is not mandatory). We will have some opportunities to participate throughout the morning, so if you have a scheduling conflict with the organizational meeting, contact District Commissioner Jeff Heck directly by Friday evening to customize plans. Please sign up with an RSVP for the grave dressing regardless of your ability to attend the organizational meeting. Please note that the breakfast and the grave dressing have two separate sign ups! Please sign up with both, if you plan to do both. We value this opportunity to join scouts, scouters, and legionnaires together for this meaningful event. This entry was posted in News, Patriotism, Programming. Spring Camporee Success. The Firecrafters of the North Star Ember would like to extend a warm thank you to all the troops who came out and participated in the Spring Camporee. One of the goals of our organization is to encourage continued participation by our youth in camping, outdoor activities, and Scouting. The activities and fellowship promoted at district camporees is a great opportunity that benefits these goals. Importance of Scouts in Flag Retirement. At the evening campfire, we were excited to be given the opportunity to perform a flag retirement ceremony. The Boy Scouts is one of the largest organizations that gives communities opportunities to have worn American Flags properly retired. Organizations that also offer this service include the American Legion Post, Veterans of Foreign Wars, and other civic associations. Using flags donated by the Broad Ripple American Legion, one of our service projects for the year will be a flag retirement this Sunday, May 1st. Invitation to Units and Scouts. 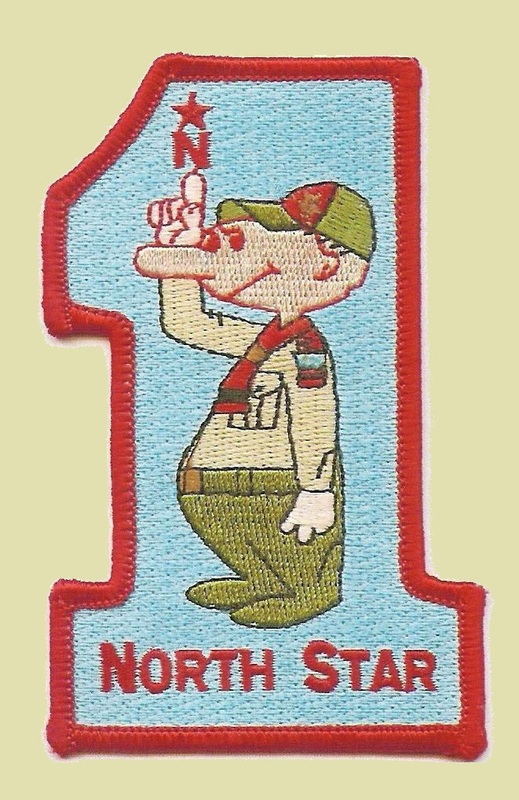 We would like to invite Scouting members of the North Star District to attend. We will not just be retiring flags, but also answering any questions you have about proper flag retirement. This may be of great value to upcoming Firecrafter candidates, if they want to include a flag retirement as part of the candidate campfire. One of our goals in carrying out this service project is educating you in this area. We hope to improve your confidence so that in the future, you might consider conducting a retirement as a troop service project or include in your troop ceremonies. The weather for Sunday is not predicted to be as beautiful as the camporee weather. In the event it is raining between 1:00 and 2:00, the meeting will be at the Broad Ripple American Legion Post #3 at 6379 N College Ave, Indianapolis, IN 46220. We will still have a mock retirement and answer questions from an inside location. This entry was posted in Duty to Country, Events, Firecrafter, News, Patriotism, Patriotism. Today, June 15, 2015 is the 800th anniversary of England’s Magna Carta or “Great Charter.” On this day, King John (of Robin Hood infamy) signed a promise in perpetuity to allow many rights. Many of these rights are enshrined in the American Bill of Rights. This entry was posted in History, Patriotism.